Posted on 19, March 2018 by EuropaWire PR Editors | This entry was posted in France, Germany, Healthcare, News, Pharma & Biotech, Science, Switzerland, Technology, United Kingdom and tagged advanced therapies, AI, Alan Crowther, Alliance Life Sciences, Big Data, Biotech, Commercial Operations, Contracting, diagnostic firms, Global Pricing, life sciences companies, life sciences consulting, management software, Market Access, medical device, medical device firms, pharma, pharma pricing, Pharmaceutical, pharmaceutical manufacturers, ppma, ppmaconf, PricentricOne, PriceRight, rare diseases, Reimbursement, Sophie Ferronato, tender, Water Street Healthcare Partners, Water Street partners, World Pharma Pricing and Market Access Congress. Bookmark the permalink. 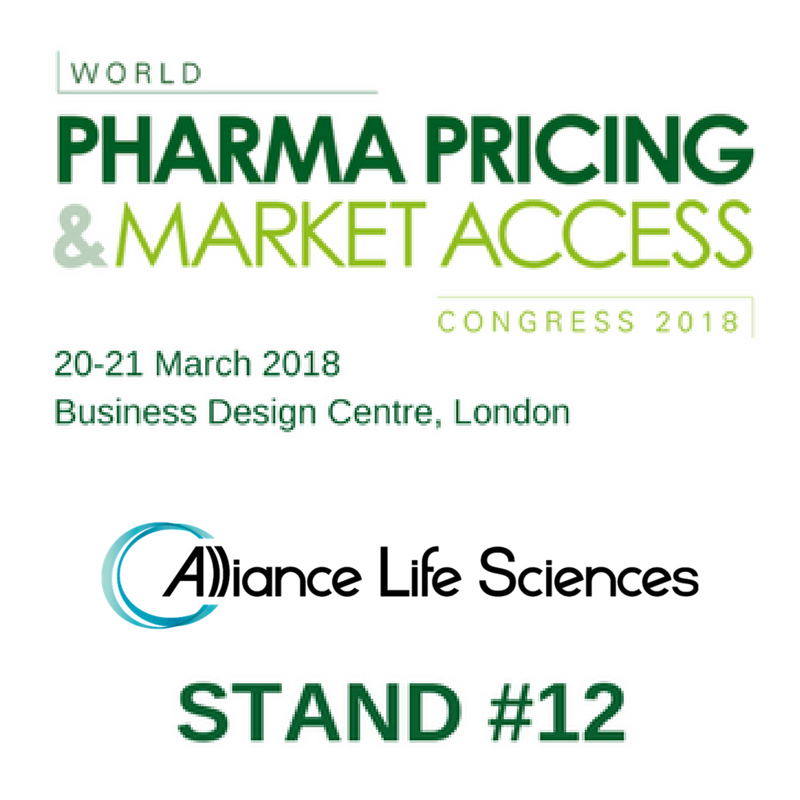 Alliance Life Sciences is a global innovator that delivers peace of mind and unlocks business value with unique solutions to complex commercial problems. With over fifteen years of dedicated life sciences experience, our worldwide team of experts provides insights and solves problems in Global Pricing, Market Access, Contracting, Reimbursement, and Commercial Operations. We serve top pharmaceutical manufacturers, mid-market life sciences companies, and multiple medical device and diagnostic firms. Alliance Life Sciences is a company of Water Street Healthcare Partners, a strategic investor focused exclusively on the health care industry. Water Street, has built a leading group of businesses specializing in pharmaceutical products and services.